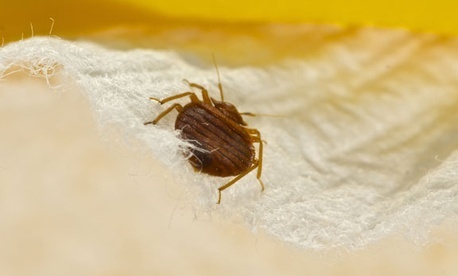 A Homeland Security Department building in Vermont has been infested with bed bugs for the third time in as many months, according to a local news report. Exterminators brought a bedbug-sniffing dog to the U.S. Citizenship and Immigration Services office in St. Albans and some chairs and filing cabinets were removed, employees told WCAX. About 1,000 employees work at the facility. An exterminator said there was no way to determine the source of the bedbugs, but they were definitely brought in by someone, as they do not simply come in from the outside.